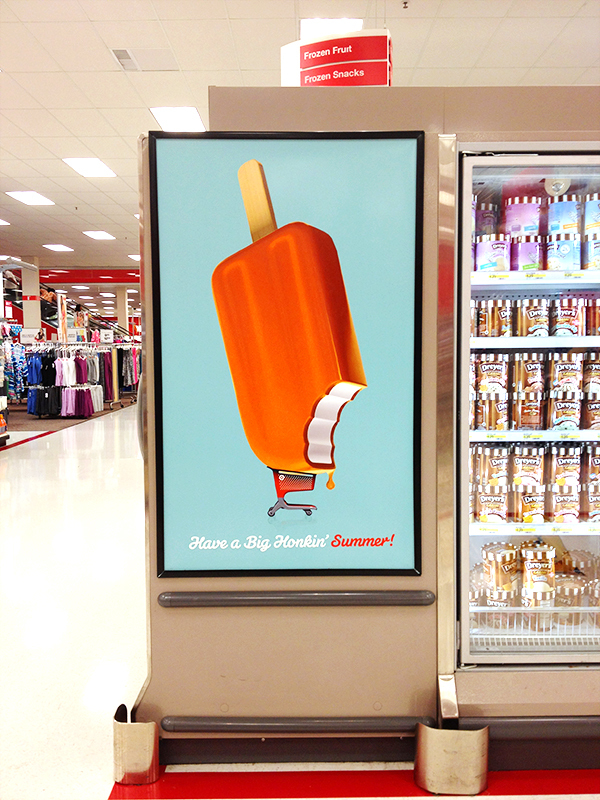 UPDATE: This poster and the rest of the target summer 2012 design was led by Allan Peters who is a Senior Art Director at Target. Check out more on his blog. Sweeeet poster. Literally! Gotta love Target. Thanks for the post! The font is Susa bold. Thank you Allan, love your work!